Living in Jacksonville is pretty great, but it’s never better than at this time of year. The season is changing, the sun is shining, and the beaches are open for business. Truth be told, it’s an embarrassment of riches. The beaches and the weather alone are enough to make anyone green with envy. To top it all off, though, we’re rapidly approaching the biggest week of the year for the Jacksonville area. That’s right, it’s time for THE PLAYERS, Ponte Vedra Beach’s signature golf tournament. Every year, the best golfers in the world descend on our beach communities to compete for one of the sport’s richest prize pools on the historic Stadium Course at TPC Sawgrass. THE PLAYERS is known for hosting the sport’s most elite field of competitors and the 17th hole at TPC Sawgrass is home to the iconic island green, arguably the sport’s most famous hole. Obviously, this is a huge deal for Ponte Vedra Beach and the whole Jacksonville area. It’s a chance to highlight everything the area has to offer, from the weather to the beaches to the restaurants. It’s also a strong statement that, for golfers and golf fans alike, there is no better place to live than Jacksonville. TPC Sawgrass, which hosts the Valley Course and the world-famous Stadium Course, is just the tip of the iceberg. Jacksonville is home to dozens of world-class golf courses and the luxury communities that go with them. Kelly and Wanda know golf, they know luxury properties, and they know the Jacksonville real estate market better than anyone. If you’re looking to enjoy Ponte Vedra’s luxury golf lifestyle year round, they’re the only call you need to make. Marsh Landing Country Club may not be as nationally renowned as the TPC Stadium Course, but it’s one of the area’s best-loved golf courses. Featuring 18 beautiful holes set in pristine natural surroundings, the course itself is enough to challenge any golfer, from duffer to pro. When you buy a home in Marsh Landing, though, you don’t just get proximity to the course. You get the full Country Club lifestyle, complete with a beautiful clubhouse, a tennis facility, and all of the amenities you expect from a high-end golf community. Life in The Plantation at Ponte Vedra Beach is the perfect encapsulation of what makes Northeast Florida so great. The Plantation offers 18 holes on a newly-redesigned golf course for the dedicated golfers. For the rest of the family, there’s a full-service beach club and the safe, luxurious environment you expect from a golf community. Whether you want to spend your days on the links, at the beach, or just enjoying the weather with your family in a beautiful environment, The Plantation offers it all. 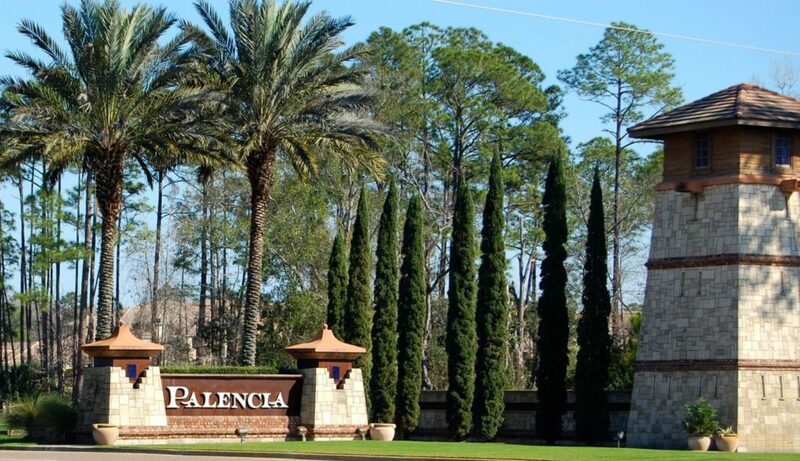 For families, Palencia is like a dream come true. The only thing more spectacular than the 18-hole championship golf course is the world-class amenities, which include a full club house with dining and shopping, a lighted tennis facility, 8 miles of multi-use paths, three baseball diamonds, a soccer field, a basketball court, state-of-the-art fitness facilities with classes, and a pirate-themed playground. It’s the perfect spot for anyone with an active lifestyle or anyone who enjoys luxury living in beautiful surroundings. Clearly, if you enjoy golf, the outdoors, good weather, and luxury living, Jacksonville is where you belong. Give Team Kelly and Wanda a call today. If there’s a home for sale in Jacksonville, they know it, and they have years of experience helping families find the perfect new house for sale.